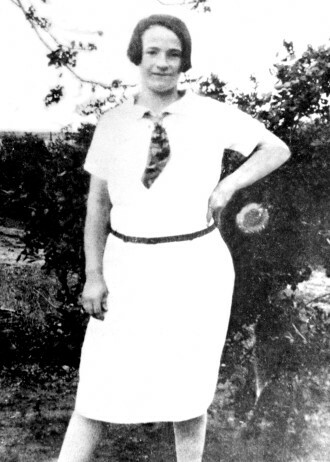 Ella May, a textile union leader killed during a 1929 strike in North Carolina, was born in 1900 in Tennessee. Her family had been small farmers, but before she reached adulthood her father was a wage worker in the logging industry that had invaded rural Appalachia. Logging was dangerous work, killing May’s father and leaving her husband, John Wiggins, disabled. Her family then moved to the Piedmont region of North Carolina where she found work in the burgeoning textile industry. By 1929 John Wiggins had left the family. While some labor historians have misidentified her as Ella May (or Mae) Wiggins, Ella May dropped her married surname after Wiggins’ exit. Her own family’s suffering, and the suffering she saw all around her, motivated this strong-willed woman to fight the bosses. Textile companies were leaving New England for the South, which lured business with the promise of cheaper wages, exploitable child labor and a union-free environment. Women in the northern mills had a history of striking for better wages and working conditions, going back to the early 1800s. Life was hard, but since the 1912 “Bread and Roses” strike in Lawrence, Mass., unions had made gains in the North. Southern mill hands — derisively referred to as “lintheads” — were paid starvation wages while typically working 11-hour days or nights. Hard work offered no escape from poverty; pellagra, a disease caused by malnutrition, took the lives of many children. Ella May herself lost four of her nine children, one at 17 months and three in their first months of life. Gaston County, N.C., was home to many textile mills, including the world’s largest: the Loray Mill in Gastonia. Ella May lived and worked in nearby Bessemer City at American Mill No. 2. These and other mills employed thousands — a majority women. Children often toiled alongside their parents out of economic necessity. The mills were often owned by Northerners, who paid substantially lower wages in the South. Mill owners perceived Southern workers to be individualistic and disinclined to unionism. When Northern organizers arrived in North Carolina in 1929, they were portrayed as outsiders by the bosses, the media and the clergy. 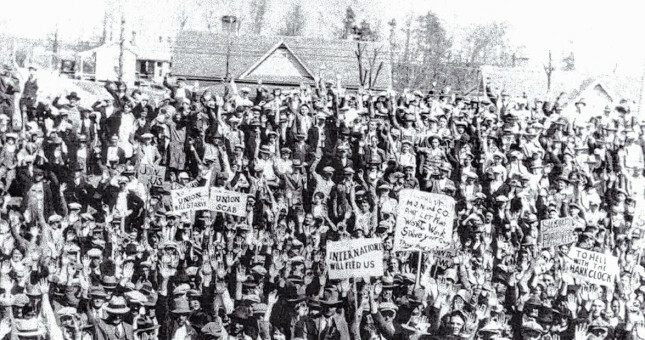 In Gaston County, the Communist Party leadership of the National Textile Union was attacked for being atheistic, “un-American” and in favor of racial equality. The workers, however, had been pushed to their limits. Mass anger was growing over the “stretch-out,” where workloads were being increased, even doubled, with no pay increase. In fact, wages were falling, as competition was intensifying, profit margins narrowed and companies were driven to cut labor costs to the bare minimum. The demand for woven cotton had also fallen with the introduction of rayon fabric and the loss of overseas business to Asian manufacturers. On March 31, 1929, at a mass meeting outside the Loray Mill, workers were asked by NTU leaders if they wanted to strike. Nearly every hand went up. The strike, which began the next day, spread to other mills, including May’s in Bessemer City. 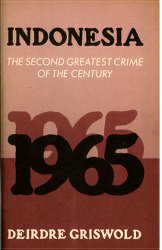 May ignored the racist and anti-Communist propaganda and recruited Black workers to the NTU. They were not only her co-workers but also her friends and neighbors. Walking the picket lines with their children, women were the backbone of the strike. Along with May, Daisy McDonald and 11-year-old Odell Corley were standout local fighters who also composed union songs. Vera Buch and Sophie Miller were among the national NTU organizers who took on the difficult challenge of organizing these Southern textile workers. Manville-Jenckes, the Rhode Island company that owned the Loray Mill, was determined to break the strike — as was the local political establishment. After some 200 striker families were evicted from company housing, the union erected a tent encampment. Anti-union vigilantes, with the support of local police, destroyed the camp as well as the union headquarters on April 18. A second camp was erected, protected by armed union guards. On June 7, police attempted to enter the encampment, provoking a shootout that left five policemen wounded. When Police Chief Orville Aderholt died the following day — though it could not be determined who shot the chief — his death was used to justify violence and repression against the strike. Vigilantes — organized as the Committee of 100, supposedly representing “loyal employees” but mainly consisting of supervisors — kidnapped and flogged union activist Ben Wells. Strikers, including May and other women leaders, were being routinely jailed. Three women were among 15 union leaders arrested and charged with first-degree murder and conspiracy to commit murder in the death of Aderholt. There was no evidence that any of them had fired the fatal shot or that the killing was premeditated. The defense appeared close to winning a “not guilty” verdict when the judge declared a mistrial on Sept. 9. Supposedly a juror “went insane” after seeing the prosecution’s exhibit, a plaster mannequin clothed in Aderholt’s blood-stained uniform. Anti-union forces were furious that no “guilty” verdict had been reached. Mobs comprising mill management and local businessmen destroyed union offices in Gastonia and Bessemer City and assaulted unionists in Charlotte. A second trial was scheduled for Sept. 30. The state dropped the charges against eight of the original defendants, including the three women. When charges against the other seven were reduced to second-degree murder, a conviction appeared likely. Over 20 Bessemer City strikers, including pregnant Ella May, piled into the back of a pickup truck on Sept. 14 and headed to Gastonia to support the framed-up union leaders. Their vehicle was forced to turn around by 10 to 15 carloads of vigilantes, who followed them as they retreated. The union truck had to brake suddenly when a car sped up and stopped in front of it. The occupants of that car, along with others, surrounded the strikers. 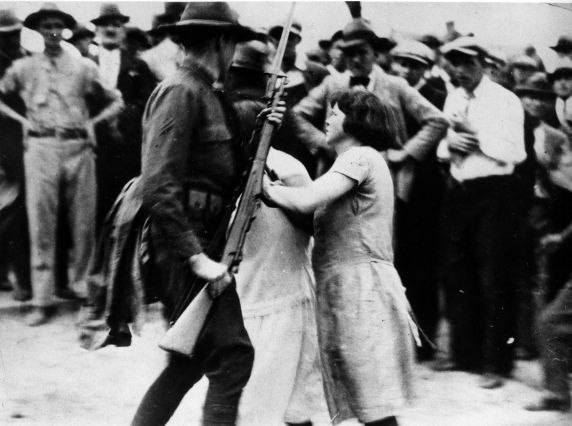 A member of this armed group shot Ella May in the chest. She died instantly in the arms of her companion, Charlie Shope. Hundreds of mill workers attended May’s funeral and burial, while others left their work stations briefly to pay respects as the casket passed by. Neither the family nor the NTU had funds for a headstone. Her brother Wesley put a large rock in the ground to mark the plot. Violence against strikers continued after the funeral with another kidnapping and flogging and more attacks on union offices. After enduring almost six months of anti-union terror, and with many strikers returning to work, the NTU officially called off the strike on Sept. 27. Eventually seven men were charged with conspiracy to murder Ella May. Dozens of eyewitnesses, including everyone who was in the pickup truck, testified before investigators. Many saw Horace Wheelus, a “loyal” Loray worker, fire the fatal shot. Nevertheless, on Oct. 23 a Gaston County grand jury concluded that there was not enough evidence to charge anyone with May’s murder. By contrast, the seven charged with the murder of Chief Aderholt received sentences ranging from seven to 20 years. They skipped bail and fled to the Soviet Union. The drama of the Gastonia strike has been the subject of six novels. Decades later, folk singers Malvina Reynolds and Gary Green recorded songs written about Ella May. In 1977 local unionists finally erected a headstone at her gravesite. Currently a memorial committee is raising funds for a life-size sculpture to be placed there. Ella May — a woman warrior and a class-conscious anti-racist who gave her life for the betterment of her class — is not forgotten.